Opening it’s garage doors on March 11! RD3F, or Recreation District 3 Fitness, is proud to announce our newest facility geared towards a new generation of workouts. Our High Intensity Functional Training (or H.I.F.T.) work outs are designed to target different muscle groups each day and provide endurance training. Join RD3F for a new kind of workout, starting March 11, 2019. 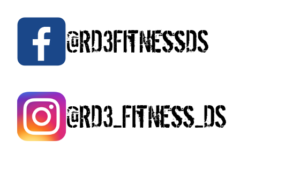 Please follow us on Facebook or Instagram for more updates about RD3 Fitness. We’re excited to add this to our PARDS family!